A The New York Times editorial wonders why foreclosure rates are so high in the two Long Island counties it rightly calls the “birthplace of the suburban American Dream.” After all, the area has “a relative lack of room to sprawl.” which in Times-speak should be a good thing, since “sprawl” is by definition both bad and doomed. Yet it is precisely the constraints on new housing that has served as a principal cause for Long Island problems. 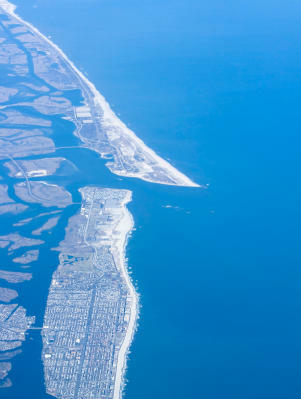 Long Island was the birthplace of the suburban American Dream, in principal measure because new housing development was permitted to occur at land prices reflecting little more than its agricultural value plus a premium to the selling farmer. The same financial formula expanded the American Dream throughout the country and many parts of the world, at least until urban planners were able, in some instances, to drive the price of land so high that housing was no longer affordable to average households. Indeed, land use regulation throughout the New York suburbs downstate, in New Jersey and Connecticut has long since rationed land for development. As a result, once loose mortgage loan standards became the practice, house prices escalated. Throughout the New York metropolitan area, the Median Multiple – median house prices divided by median household incomes rose from 3.2 to 7.0, in the decade ending in 2007. In traditionally regulated markets – like Long Island in the past and still much of the country in the present – the Median Multiple has been 3.0 or less for decades. Various regulations have led to this precipitous decline in the area’s housing affordability, virtually all of them falling under the category of “smart growth.” There are the regulations that have placed large swaths of perfectly developable land off limits for housing. There are large lot zoning requirements that have forced far more land than the market would have required to house the same number of people, producing an entirely artificial “hyper-sprawl.” Much of this ostensibly has been done in the interests of controlling “sprawl.” Where quarter acre lots would have been the market answer, planning authorities often have required one-half acre, one-acre and even more as minimum lot sizes. In fact, however, Long Island’s housing cost escalation has not been visited anywhere with more traditional liberal land use policies. From the first world’s three fastest growing metropolitan areas of Atlanta, Dallas-Fort Worth and Houston, to much of the South (excluding Florida), to the Midwest, housing prices rose little relative to incomes during the period of profligate lending. The difference, of course, was that the liberal land use regulations in these places allowed sufficient housing to be built that supply kept up with demand, thus accommodating new demand. Speculators saw no potential windfall profits to bring them into the market. The Times is not alone in misunderstanding the dynamics of land use regulation and housing affordability. But there is a very clear, demonstrated relationship – where land use regulations constrain development, prices are forced upward. This is because scarcity raises prices of goods that are in demand. Meanwhile the non-Nobelist Times also make a point to bemoan the high levels of racial segregation on Long Island. Is it beyond them to understand that the very policies they favor are at fault? When one considers that ethnic minorities tend to have lower than average incomes and that land rationing nearly doubled the price of housing relative to incomes, it’s not surprising that they have not moved en masse to expensive places like Long Island, with the exception of Hempstead and a few other pockets. There are costs to restrictive land use regulation. One of the most pernicious consequences is the denial of the American Dream to groups of citizens that have so long been excluded from the economic mainstream. It is time to recognize that the regulations that raise the price of housing – however well-intentioned – work against housing affordability and represent one of the prime contributors to the high levels of foreclosures in many communities across the country. Submitted by greed101 on Wed, 05/13/2015 - 00:13.
are too good and can be very useful. keep updating, looking forward for more posts. Submitted by tofifi08 on Mon, 05/11/2015 - 02:15. Very interesting article. Thank you for sharing your thoughts with us. I got a lot of information .. I am looking forward for more updates from you. KEEP UP THE GOOD WORK! Submitted by wzteja1122 on Sat, 01/17/2015 - 05:15. Submitted by zion1122 on Tue, 08/20/2013 - 07:29. Submitted by robert1122 on Sat, 08/03/2013 - 19:42. Submitted by gww99 on Fri, 02/13/2009 - 10:52. Recently, Obama pronounced that building sprawl must stop. I assume this mean government telling people where they can live in one form or the other. Richard Florida claims that the new economic reality will likely lead to thinning suburbs. Left relatively alone, I think the marketplace would respond to thickening suburbs with greater densities, infill projects, and marketplace adoptions of some of the tenets of so-called smart growth and/or new urbanism. It is already happening with the explosion of TND and PUD suburban development. The middle class is not moving back to cities that offer unsafe streets and schools that don't teach. They will not trade their kids' future for shorter commutes. Finally, the nexus of smart growth and exclusionary zoning (NIMBYism and big lots) is land use regulation. Both raise costs and discourage new housing development. While proponents fall on two sides of the political coin, many of the results are the same for the housing consumer. Submitted by Susanne Trimbath on Mon, 11/24/2008 - 11:08. There is a limit on the "very clear, demonstrated relationship – where land use regulations constrain development, prices are forced upward." The limit is jobs, as we saw in Portland, probably the earliest adopter of growth limitations of the urban areas. Home prices will not rise, and in fact are likely to fall, where the limits on growth include limits on jobs. Submitted by epar on Sun, 11/23/2008 - 10:19. Thank you for your thoughtful response to my comments on your "root causes" article. But after reading it carefully ( I think), I’m no clearer on how your thesis explains much of our current situation. You still insist on conflating “strong land use regulation” with “smart growth” regulation. I grew up in the suburbs of North Jersey, so I'm familiar with the zoning codes you talk about. As you mention, they encourage large lot, single family housing, which we would both agree is strong land use regulation that decreases affordability. But how can you call this smart growth zoning? This is exactly the opposite of what smart growth would prescribe - smaller lot sizes and higher density. So please explain your definition of smart growth. It appears your being deliberately vague. You lost me when you claimed that the fact that losses have been less severe in some smart growth markets is not relevant to those losses being concentrated in smart growth markets. What would be more relevant? As I described in my post, the house price declines are distributed across metro areas with smart growth restrictions and areas with restrictions that could not be reasonably classified as smart growth. And yes, house price declines absolutely lead to financial losses in the housing sector; you can’t explain one without the other. If you don’t understand that relationship then I'm afraid you don’t understand how leverage works.